You’re ready for a canine companion and your Facebook feed is full of pictures of adorable pooches that need loving homes. But hold on! Don’t let your heart overrule your head. Taking in a rescue dog can be hugely rewarding but it can also end in tears. Ask yourself the following questions before you make a commitment. Caring for a dog for the first time brings its own challenges and you’ll have a lot to learn, so a rescue dog might not be the best choice for you right now. Every rescue dog will have issues - many have suffered abuse and neglect, while others will keenly miss their previous family. The time and patience needed to work through those problems with your pet could be more than you bargained for. Are You Capable of Training an Older Dog? 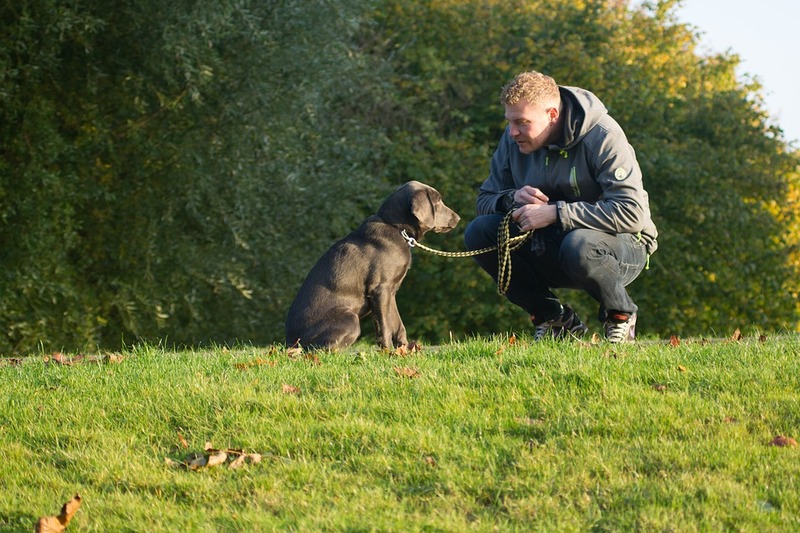 Teaching a puppy to behave is much easier than retraining an older dog. If your rescue dog has obedience or anxiety issues, you’ll have to eradicate the unwanted behavior before you can hope to make any headway with his training. Are Health Problems Likely to Be an issue? Before your visit to the rescue center, do your homework and find out all you can about the dog breeds on your shortlist. Some breeds are prone to health problems and you’ll need to be prepared to meet the costs of dealing with those issues if they arise. Bulldogs can develop respiratory problems, German Shepherds can suffer from Hip Dysplasia, and Boxer’s are at higher risk for certain cancers - and those are just a few of the problems that can affect pure breeds. If huge vet bills aren’t something you want to deal with in the future, you’ll have a better chance of finding a healthy dog if you choose a mixed breed. Is the Dog Used to Children? If you have a young family, it’s important to choose a dog that’s used to children. Sometimes, the rescue center will have this information, but if the dog was picked up off the street, then it’s impossible to know how safe the dog will be around kids. Some dogs have such gentle temperaments that they’re very unlikely to snap or bite, while others, not used to quick movements, high-pitched squeals, and over-enthusiastic playtime, can react aggressively out of fear or annoyance. When you bring a new pet home, you’ll have fewer problems if you can keep the dog company for the first few weeks. If on the other hand, everyone is heading straight back to work or school, then the dog will be left alone, which will hamper his ability to get to know and trust you. If possible, arrange some vacation time and give your dog the attention he needs while he settles into his new home. Adopting a dog from a shelter is a great thing to do, and so long as you think things through and can fully commit to your new pooch, you’ll have a faithful friend, full of gratitude for his new forever home.